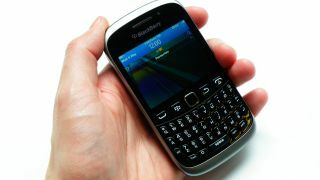 Has RIM put BBM on the back burner? Questions are being raised over the future of BlackBerry Messenger (BBM) as reports suggest Research in Motion (RIM) is focussing its efforts elsewhere. We don't need to tell you that RIM has had a torrid time over the past couple of years, with network outages, riot-inducing allegations and declining sales seeing its BlackBerry range lose out to the likes of Apple and Android. Now the Wall Street Journal reports that sources familiar with the situation at RIM have revealed: "BBM is taking a back seat to chief executive Thorsten Heins' focus on pushing out the company's new phone and operating system later this year." BBM now has a host of competition in the mobile instant messaging world, with Apple's iMessage for iPhones, Samsung's ChatOn service and third-party, multi-platform Whatsapp all vying for a spot on your smartphone. According to the sources, RIM was planning to licence the BBM platform (codenamed SMS 2.0) to other manufacturers and carriers, theoretically allowing it to run on iPhones and Android devices, but this initiative was stopped by Tim Cook when he took control of the company. BBM is certainly far from dead and buried, with RIM recently launching the BlackBerry Curve 9320 which sports a dedicated button for the messaging service, but it looks like the core focus is now on the BB10 software and handsets which will be running it.